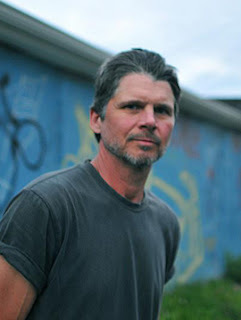 Chris Knight doesn’t much care how his music is labeled. It’s a bit of everything — Americana, Southern rock, country, and folk. The people who record Knight's songs are just as diverse, artists such as Blake Shelton, Randy Travis, Montgomery Gentry, and John Anderson. And yet, despite this roster of talent, nobody sings his songs like Knight himself. For over 15 years, he has released seven albums to slowly earn a reputation for his humble, no-nonsense approach and rural sensibilities. Most of his songs convey tales about rural Kentucky (or maybe rural anywhere). They are punctuated with stories that include drinking to numb the pain, drifting, missed opportunities, chances that never materialized, people down and out, and maybe being left behind. And he knows all about it, but not for the reasons you think. He holds a degree in agriculture and has worked as a mine reclamation inspector and consultant. Chris Knight knows the towns and the people who live there. On Sept. 11, Knight is set to release Little Victories, his first album of new material in four years, one that takes the message to an entirely new level. Although he still doesn't talk politics, his songs do reflect what he sees and experiences, particularly in his hometown. Slaughters, Kentucky, is the coal town where he grew up. It's population? About 200. "About two years ago, we had a big ice storm here in Slaughters that just devastated the whole area," Knight said. "We were out of power for close to a month, cooking in the fireplace and living by candlelight to survive. Things slowed down to nothing. When we were finally able to head into town, we saw lines of cars for miles outside the gas station. There were hundreds of people outside the hardware store who had nothing even before the storm hit. I watched their behavior and reactions, and that’s when I started writing a bunch of songs I knew would be a part of this record." Joining Knight for Little Victories is producer Ray Kennedy (Steve Earle, Lucinda Williams, Emmylou Harris). He already has a sense of what needs to be done. Kennedy engineered and mastered Knight’s Enough Rope and both Trailer Tapes albums. He also notes that Knight wanted to make Little Victories with his road band (Mike McAdam, electric guitar; Drake Leonard, bass; Michael Grando, drums; and Chris Clark, guitar, mandolin, banjo). "And as we were tracking in the studio, the sounds I was sending back through the headphones were pretty tough and edgy. It made everybody crank their amps up higher and dig a little deeper," said Kennedy. "The sound of any record is about attitude and how it goes down, and much of this record went down like a rock record. Other than a few overdubs, it’s pretty much recorded 100 percent live." Knight wrote or co-wrote all of the 11 songs on the upcoming album. In The Mean Time is the first single released in advance of the album, and it is designed to get people thinking about taking their lives into their own hands rather than waiting for someone to turn things around. "Well you might want to think about getting yourself a shotgun. You might want to think about growing you a garden patch. You might have to go shoot something and drag it home. Don’t ever count your chickens before they hatch," sings Knight. In the Mean Time is the perfect song for Knight’s honest, gravelly voice; chiming acoustic guitar; and ace backing band. It’s the perfect teaser for Little Victories, hinting at the promise of the songs to come. The video above was recorded at The Exit in Nashville, March 2012. Here's another. Missing You will easily be worth the download. But some other high points from Little Victories might surprise you. The title song features the vocals of the legendary John Prine, an artist that Knight has often been compared to and one that Knight admires tremendously. You will also want to watch for Jack Loved Jesse, a rollicking tune featuring vocals and electric guitar work by Dan Baird (Georgia Satellites). In The Mean Time By Chris Knight Rings In 9.0 On The Liquid Hip Richter Scale. Knight starts his tour in September in support of Little Victories’ Sept. 11 release date. He’ll start in his home state of Kentucky before hitting Texas, Georgia, Virginia, North Carolina, Tennessee, Oklahoma, Michigan, Ohio, New York, and Pennsylvania. Some shows will be performed with his band. Other shows will be acoustic solo sets. You can pick up the first single In The Mean Time from iTunes. You can also find In the Mean Time on Amazon. We'll update after the album's release. But you can check Knight's tour schedule now on Facebook.